I first hatched the idea of building a Slovenia itinerary into a recent trip to Europe when I was in Colombia earlier that spring, and met some Slovenians at a hostel in Cartagena. Specifically, I spent a week in Slovenia and was able to leave feeling—in a good way—like I’d explored much longer. If you’re headed to Europe and want to experience a touch of the former Soviet Bloc without heading all the way to Russia, follow in my footsteps and spend your own week in Slovenia. 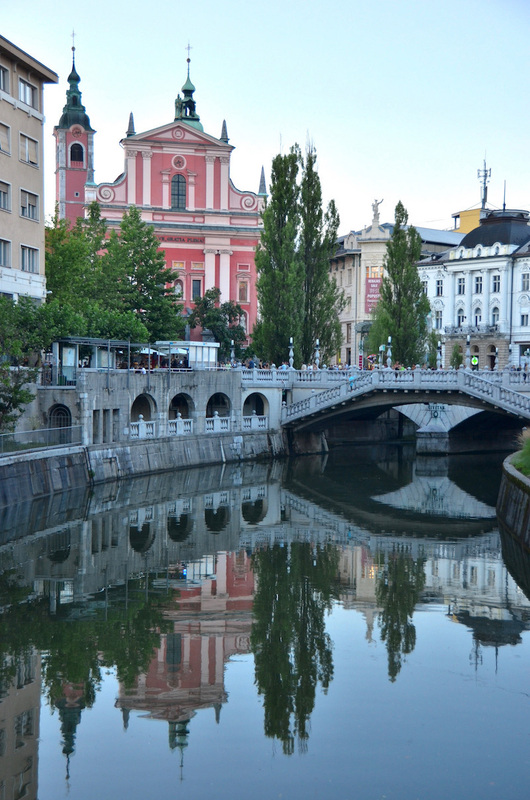 Almost immediately upon setting foot in Ljubljana, Slovenia’s capital, I declared it Europe’s most charming city. 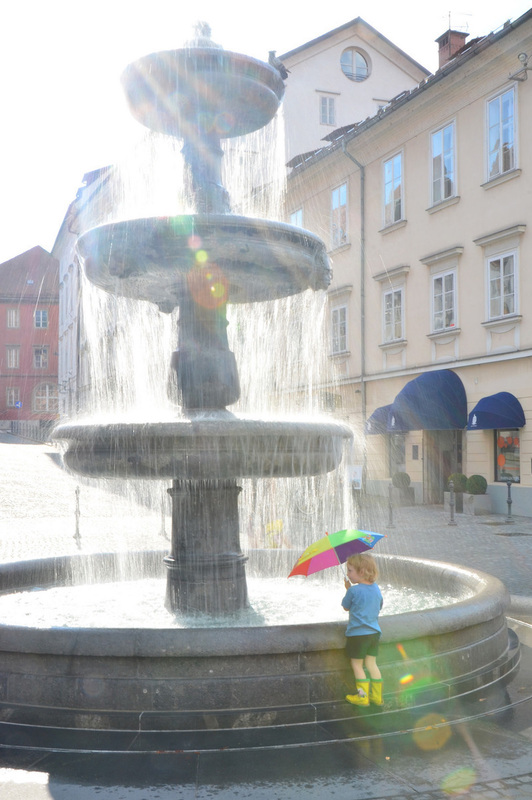 It’s got the old-world architecture of the West and the quirkiness of the east, all in a bite-sized package you can easily take in quickly, if you’re in search of what to see in Ljubljana in one day. Of course, I hope you’ve got more time. My favorite thing about Ljubljana, whether you’re scaling its castle of the same name, strolling along its eponymous river or enjoy traditional Slovenian food in one of its quaint cafés, is that its place at the center of Slovenia’s bus and train system means you’ll be coming back many times. 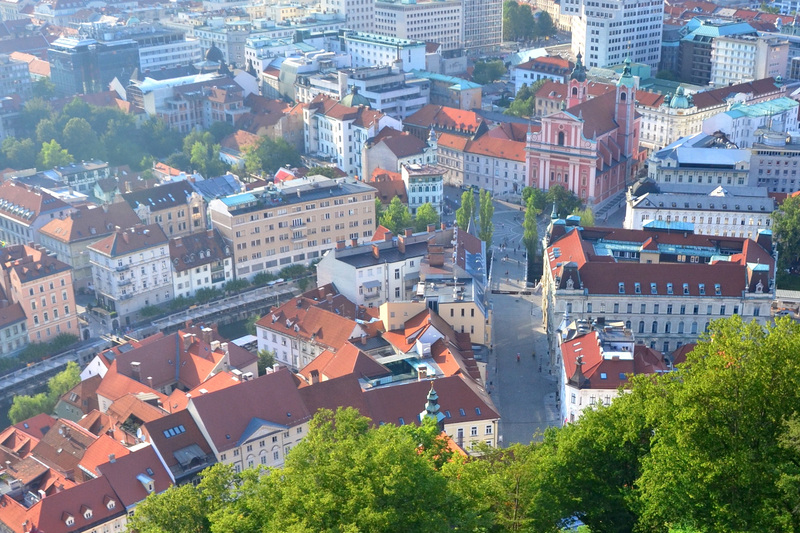 Top Ljubljana sights include Ljubljana Castle, Preseren Square and the National Museum of Slovenia. I recommend spending at least two days in Ljubljana to start with, though you’ll probably end up netting much more, if you use it as a base for your Slovenia trip like I did. 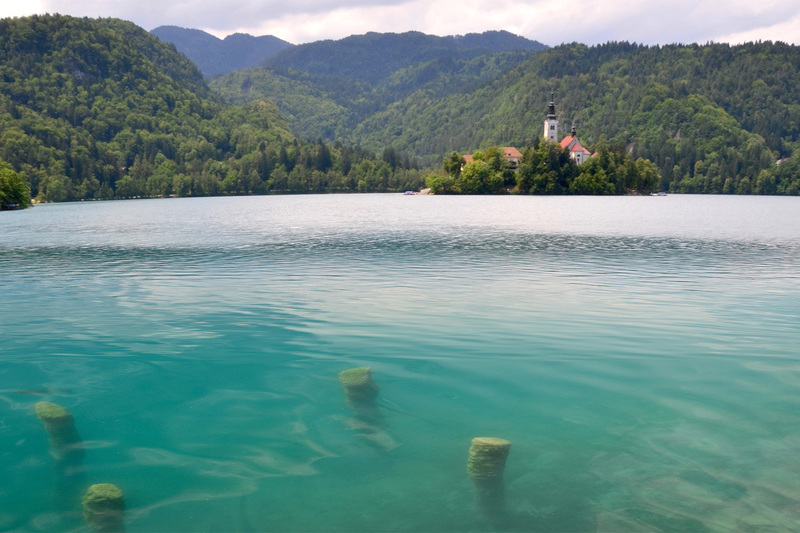 I knew I was going to love Ljubljana (a former fling of mine had casually mentioned it in a post-coital conversation, which convinced me it must be a great place to visit), but my top Slovenia must see was Lake Bled. Pictures of its neon-blue water, the church at its center and the Alps (not to mention its own castle) towering over it convinced me that it was one of the most stunning places in Europe, let alone Slovenia. 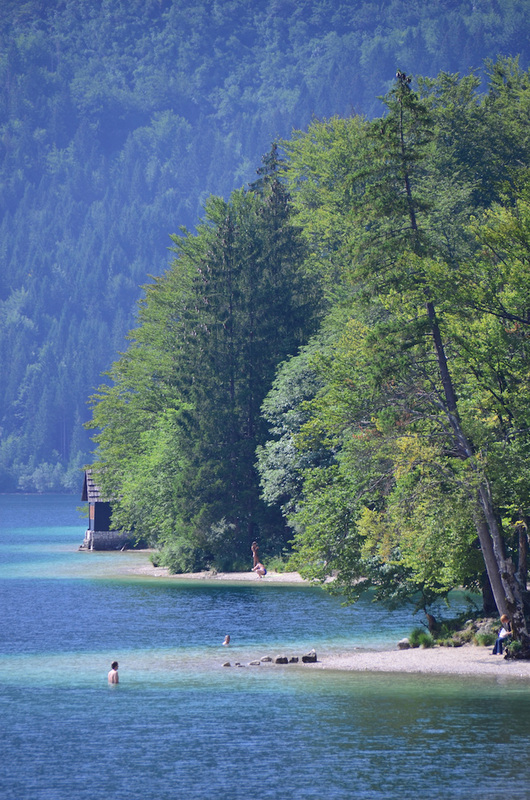 The second-coolest thing about Lake Bled, which is easily doable as a day-trip from Ljubljana is the other places to visit near Lake Bled, namely Lake Bohinj. Although Bohinj’s waters aren’t quite as fluorescent as Bled’s (and, to be sure, its church sits along its banks, rather than in the middle of it), it’s a stunning way to spend an afternoon or evening – sunsets are incredible! I recommend spending between 1-2 days in the lakes of Slovenia’s Julian Alps, depending on whether you want to keep your base in Ljubljana, as this Lake Bled travel guide assumes, or sleep elsewhere. Besides Lake Bled, Postonja Caves is among the most famous Slovenia places to visit. In spite of this, I did not visit the caves during my week in Slovenia. 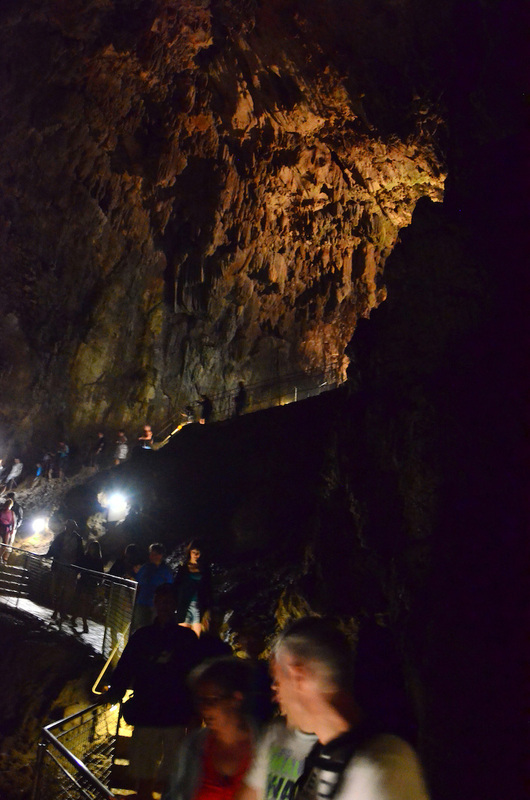 Instead I visited Škocjan Caves, which are similar in scope and impressiveness, but one of the less popular Slovenia day trips among foreign tourists. 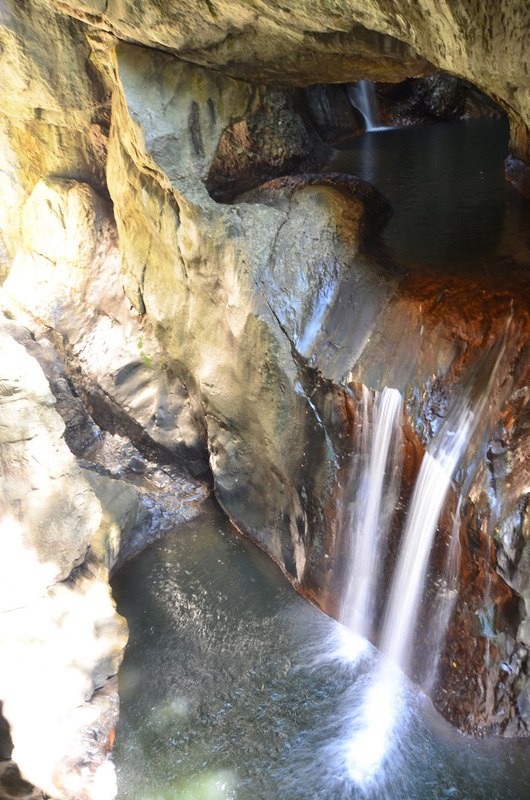 In fact, Škocjan Caves is the largest self-contained cave system in Europe, and although you’ll have to sneak photos as your Slovenia caves tour treks amid caverns and waterfalls (photography is technically not allowed), it’s very, very worth it. 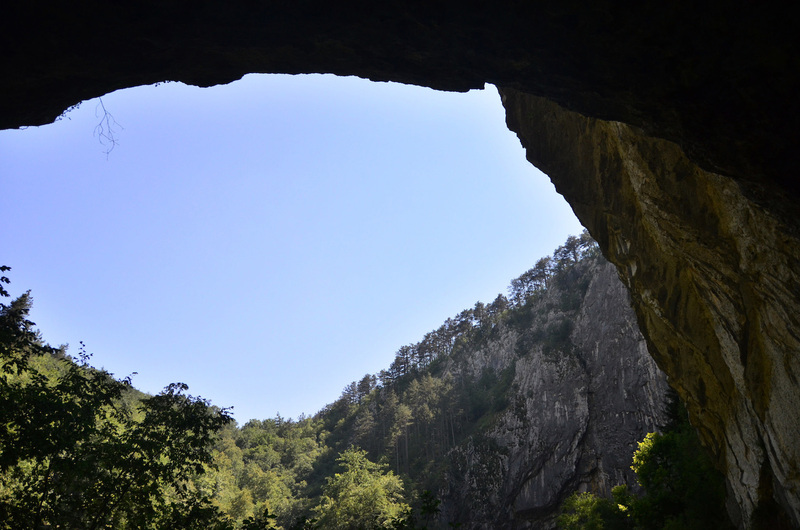 Whether you visit Postonja or Škocjan Caves, I recommend doing so as a day trip from Ljubljana. 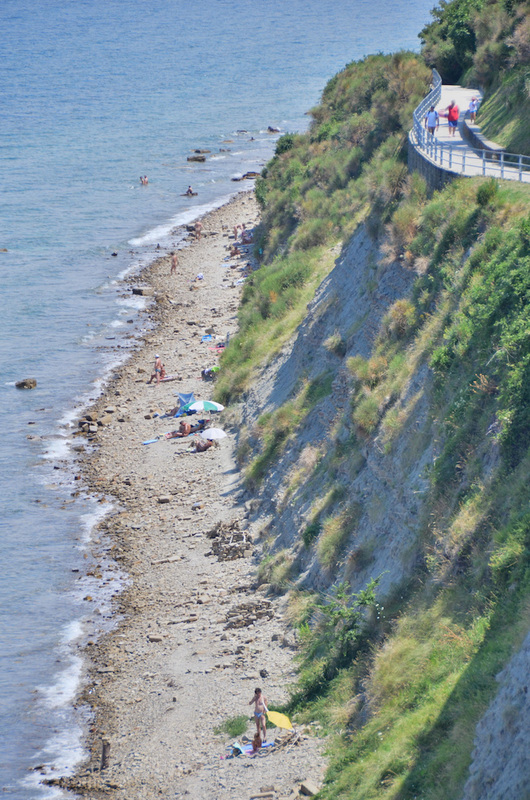 A little-known fact about Slovenia (and one that it not evident from all but the largest maps) is that it has a coastline. Specifically a 47-km one, wedged between the better-known ones of Italy and Croatia. 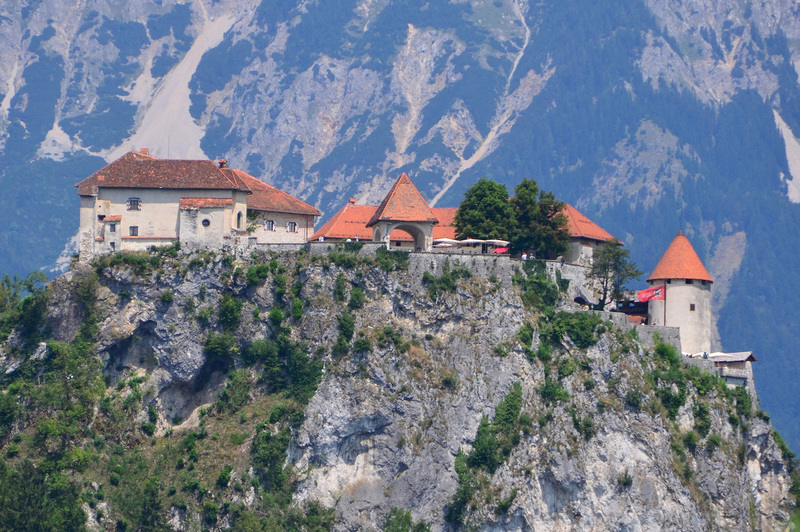 It’s among the highlights of what to see in Slovenia, though only if you know it exists. 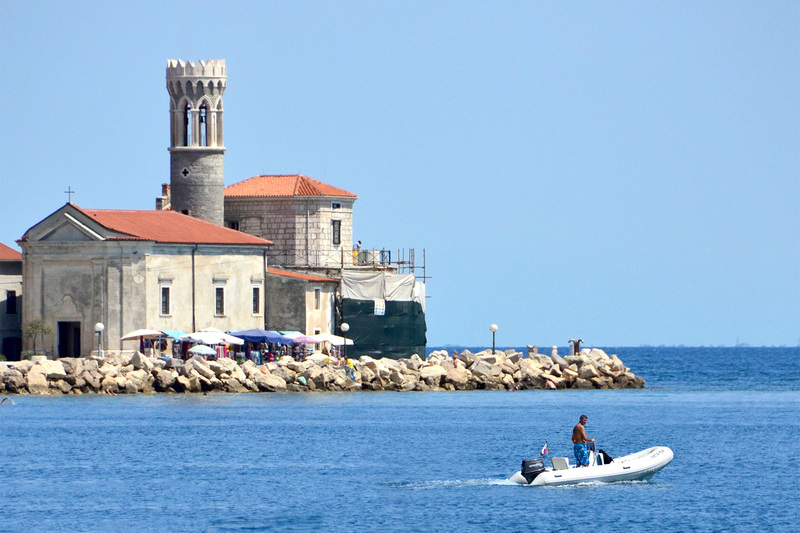 To be sure, although Slovenia’s coastline largely functions as a port for the country (which is to say, the aesthetic is quite industrial), you can enjoy a charming old town and relatively good beaches by visiting Piran. 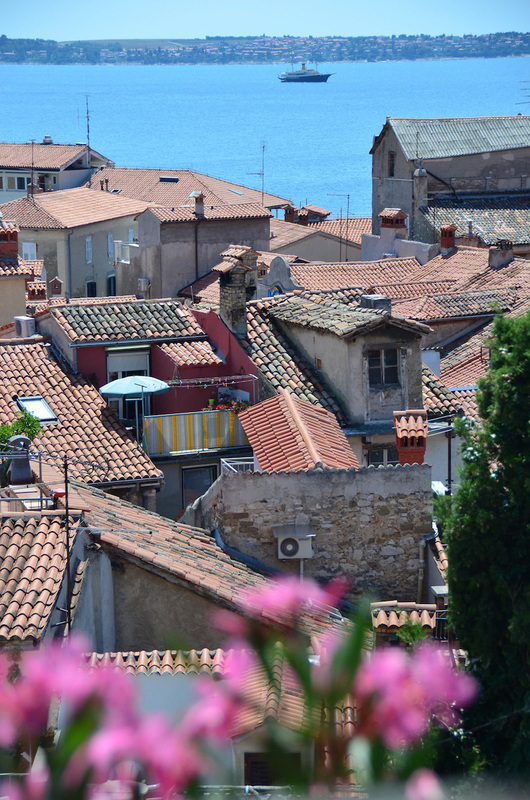 Alternatively, some people go to Koper, but I found it to be a bit too grey for this colorful Slovenia travel guide. 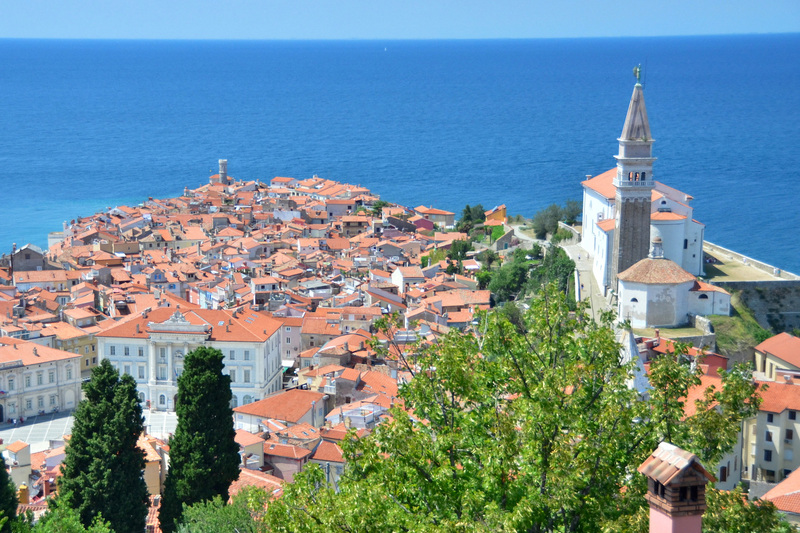 Spend 1-2 days of your Slovenia trip in Piran—and stay the night if you can. Although Slovenia’s small size means that you can technically take a Piran day trip from Ljubljana, it’s easier to relax if you stay there for the night. Traveling more extensively in Southern Europe? Check out my popular two weeks in the Balkans itinerary. Accommodation in Slovenia runs the entire gamut, from luxe boutique hotels like Art Hotel in Ljubljana, to charming digs like Villa Istra in Bled and Hotel Bohinj in Bohinj, to seaside apartments in Piran such as Port House. Make sure to browse the full range of Slovenia hotels and other lodging to ensure you make the right decision! Whether you follow my Slovenia itinerary sequentially, or simply structure it as a series of day trips from Ljubljana like I did, Slovenia starts here. From the fluorescent waters of Lake Bled, to the deep caverns of Postonja Caves, to the Adriatic shores of Piran, this small and underrated country will change you forever. Here’s to hoping you have an amazing trip to Slovenia!